Of course, it’s not quite as simple as it sounds – the Google cars technology’s still very much in its infancy and the route the robot-controlled vehicle will follow has to first be mapped out with a human at the wheel. It also can’t, yet, cope with snow or heavy rain, while leaving a highway still needs human intervention, too. However, with the rapid pace of technology development, it’s worth pausing to think about the impact of driverless vehicles – thanks to the revelation of Google cars, on our lives as it’s likely to be an everyday occurrence before we know it. We have the processor power and the sensor technology to make this feasible. Robots don’t fall asleep, and their attention doesn’t wander. They don’t feel compelled to text while driving, or to show how good their driving is after a few drinks. This is sure to mean fewer accidents, so less people killed and injured. Apart from the human benefits from Google cars, this has to mean less call on emergency services and lower insurance premiums – welcome relief from the huge rises over the past decade. Of course, the panel-beating, spare parts and steel industries might not welcome the decrease in fender-benders, but the rest of us will. Going out for dinner will no longer mean taking a taxi home, unless you have a ‘Designated (non-drinking) Driver’ present – Google cars are capable of driving you back home. What will the impact on the taxi industry be (GPS mapping might need to be a little better, of course), and what will the impact be on valets when cars can park themselves while they wait for you? Thinking further on this – what impact on those huge, expensive parking lots near city centres when your car can slowly drive around looking for something convenient and you can text it to come and find you in, say, 15 minutes? Would road building rates be able to be slowed, too, as robot-controlled vehicles can drive so much closer together, meaning more cars in any given space. Speeding tickets and parking tickets would also be a thing of the past – would anyone really shed a tear for traffic wardens? But let’s move away from the Google cars concept for a moment. What about the trucking industry? Roads are clogged with heavy-duty vehicles delivering goods from manufacturer to wholesaler, to retailer and to the end-user. Imagine a time when you could have fleets of driverless trucks – owners would get far better utilisation from vehicles that don’t need drivers to rest or sleep, longer routes could be planned and busy roads could be navigated only in quiet times (3 am, for example) where necessary. Of course, having a robot-controlled car is one thing – having a robot-controlled 50 ton, 18-wheeler is likely to spark a good deal more concern. An intermediate step may be to use remote drivers (‘drone technology’) until the vehicle reaches the highway and meets up with other trucks, that can then travel in convoy under control of a single remote driver, or even a lead human driver controlling a number of trucks behind. What is clear is that motor manufacturers will increasingly be moving away from “Sheer Driving Pleasure” as a strapline, and be looking to features such as entertainment, comfort and – for long journeys – even sleeping facilities, perhaps. 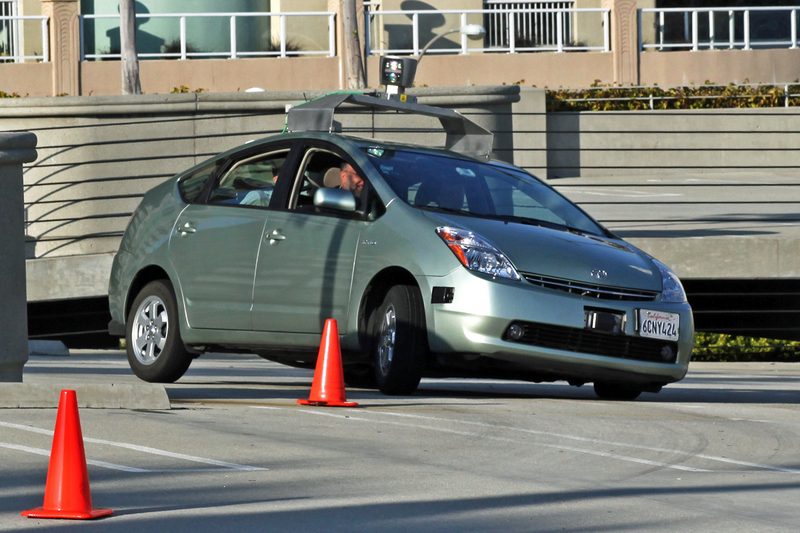 Perhaps Google cars are by no doubt a forecast of how the future looks for the motor vehicle industry. Note: I first posted this on the Business Connexion blog on 8 Jul.